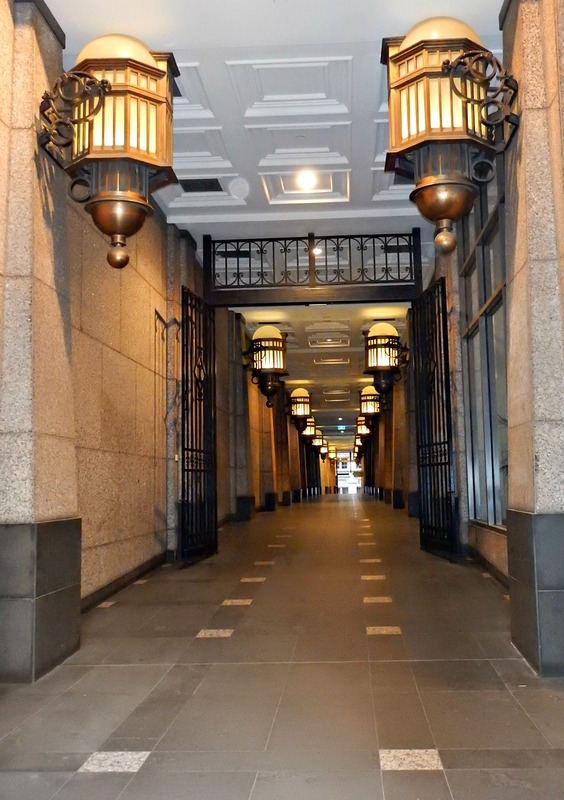 .....Along with ANZ's Gothic Bank at 380 Collins Street it just radiates old money. 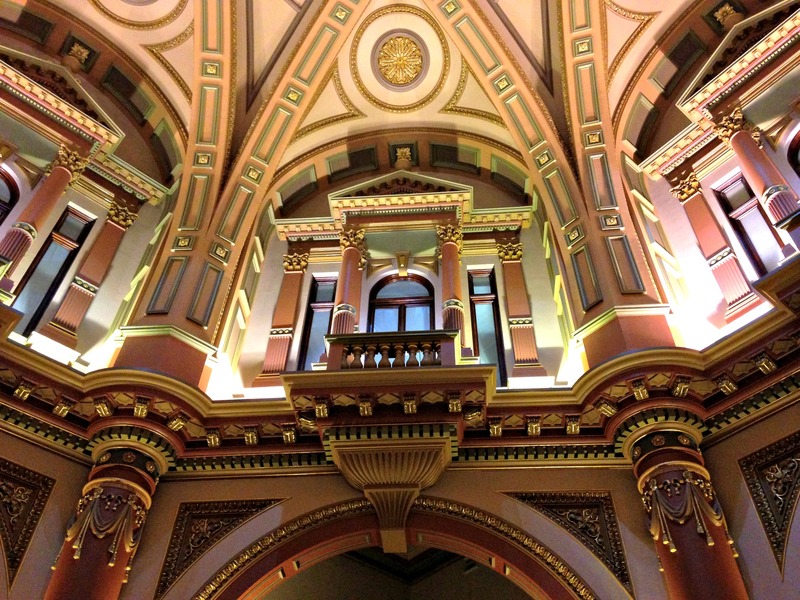 Built as a banking hall by the Commercial Bank of Australia (now Westpac), it's now an entrance foyer of a large modern office block. ........I wonder how many other gorgeous buildings in Melbourne were destroyed to make way for 'progress'? The outside of the building is Art Deco style as the building had a makeover during the 1930's so it's quite a surprise when you first walk inside - unless you've seen the top photo beforehand of course!! ........It just needs little clockwork uniformed people appearing on the balconies every hour and you could almost be in Europe! Check out the corridors with the huge lanterns too. ......I recently met my 22 year old nephew who has been working for the Commonwealth Bank in the next door building for about a year and he didn't even know about it! Needless to say he was suitably impressed when I showed it to him! The concierge in the building also took great delight giving us a history and little tour of the building and they also sell postcards of the building with the money going to charity which is nice. You can find out a lot more about the history of the building and some really great photographs HERE. I'm not sure of the opening hours here - assume 8am-6pm weekdays and you'll probably not go too far wrong! Just to clarify, you'll find it in Collins Street, Melbourne, at No 333!! Find where it is on the map below. As well as the gorgeous inside of the ANZ Bank located just up the road, have a look at the Shot Tower in Melbourne Central - I love the contrast between this old building and the modern dome surrounding it.